All resources from Sound Doctrine Christian Ministries are Doctrinally Sound and are gleaned from the Holy Scriptures. 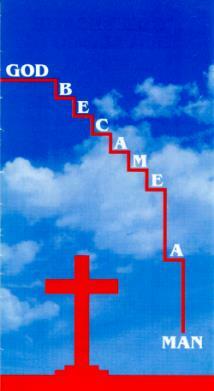 This tract was designed to lead anyone who is not saved to Christ no matter what cult or religion they are in. This tract you can give to anyone. Some soul winners have to have a different tract for certain people, but this 12 page tract has everything that you need; because it explains the Trinity and Deity of Jesus Christ essential doctrines for salvation. It gives the unsaved the gospel from Genesis to Revelation.Over 100,000 of these tracts have been printed in the Burmese language. 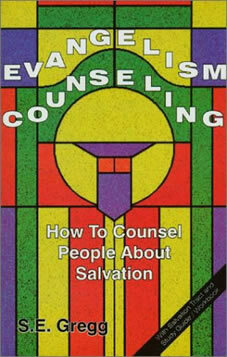 Book: “ Evangelism Counseling-How To Counsel People About Salvation”By S.E.Gregg (ISBN 0-9658587-0-7)56pgs. Salvation is one of the most important doctrines to teach soundly and true to God’s Word. This BEST SELLING Book will show you how to do that using counseling techniques. We are accountable to God to make sure that everyone understands salvation. This Book will show you how to counsel the saved, unsaved, and the not sure about salvation. How to follow-up and water baptism .The study guide and the salvation tract is included. Pastors, Ministers, Deacons, Deaconess, etc. this Book can help you find out if your members are saved and anyone that you come in contact with. For those contemplating marriage,a must have to screen your potential marriage partner. This poem came in First Place for Poetry Not -Yet Published by The Greater Philadelphia Christian Writer’s Conference 2003.Since the award was given it has been copied over an original photograph and framed.